Strategic success is closer than you think—especially once you follow these meticulously-crafted steps. You’ve likely heard that nine out of 10 organizations fail to execute their strategies. The natural question, then, is why? The answer is complex. Strategies fail for hundreds of reasons: Some are poorly researched, some don’t involve the right people, and others simply don’t track the right elements. But you can be in the 10% of businesses that actually make their strategic plan stick—and we can help you with that. Put your strategic plan into practice. Over the years, we’ve helped hundreds of clients beat the odds in the strategy planning and execution game. Based on our experience, we know that following this three-phase approach will help you end up with high-quality results. What is strategy planning and why is it important? Strategic planning is the practice of looking forward, outside the immediate future for your organization, to reach a particular set of goals. It also involves laying out—step-by-step—how you’re going to get there. Without this foundation in place, you’re likely to get caught up in a tornado of urgent activities that may not actually benefit your organization in the long term ... and that’s no way to run a company. If you’re wondering how one (or many!) of these terms fit into the grand scheme of strategic planning, click on the links below for more information. Then decide for yourself which of these buzzwords you will use in your organization, or which concept you will adapt (even if you don’t use the exact phrase). Step 1: Gather your team and create a timeline. Let’s get one thing straight right now: If your organization has turned to you (or your department, a colleague, etc.) and requested that you “make a strategic plan and then report back to the leadership team when you’re done”—stop right where you are. That’s not an effective plan. Why? You need to have buy-in across your organization, and so you need leadership involvement from the beginning. Now let’s talk about the major player needed for this process: The strategic planner. The strategic planner’s job is to align thoughts from the leadership team with a process the organization can use to execute on their strategy. If this is your role (or even if you’re just highly involved in the process), this guide will be immensely helpful as you navigate the coordination of the strategy. The strategic planner will also need the help of a cross-functional team that involves members of the board or leadership, along with representatives from finance, human resources, operations, sales, and any other critical functions. We’ll discuss this further when we talk through the Office of Strategy Management. 1B. Create a reasonable timeline. Next, you need to work out a timeline in which you can complete your strategic plan and move through the process. Reasonable is the key word here, as that depends on your organization’s maturity level with regard to strategic planning. If you refresh your strategic plan every year, you might be able to work through this process in 4-5 weeks. If you’ve never done strategic planning before, 6 months could be more realistic. Whatever the case, don’t expect this to be done by the end of the week. You’ll be disappointed. It’s important to understand strategy vs. tactics. Strategy is focused on the destination and how you are going to get there, and tactics are focused on the specific actions you plan to take along the way. So while this whole process is focused on your overall strategy (i.e. your long-term goals and how you’ll achieve them), we’ll be placing a lot of emphasis on the smaller steps (i.e. practices, resources, initiatives) you’ll take to get there. Make sure your leadership team knows the difference between strategy and tactics going forward! Sometimes it is smart to keep leadership out of the tactics, but other times, you might need a strong hand to guide the organization through some details. Step 2: Gather the inputs to your plan. Get appropriate background information for your strategic plan. Now it’s time to dig into your internal and external information. Internal inputs—Do you know if one branch of your business is growing faster than another? If so, does this mean you’ll focus more energy on the faster growing area, or shift to help the underperforming areas? These are key questions you’ll have to assess. External inputs—You may find that parts of your business have shifted, or outside factors are playing a role in where your business is headed. For example, in the late 1990s, the music industry evolved from albums to streaming, impacting many businesses who were associated with the industry. Or if you’re in the manufacturing industry and do a great deal of business overseas, political unrest or a trade dispute between your country and the foreign one you operate in could impact your strategy. Discuss the above findings with your leadership team and managers to see what their thoughts are about the future of the business. Talk with board members, customers, and industry experts to see what they think your organization is doing well and what needs improvement. These suggestions could deal with anything from operations to company culture. Combined, all of this data will help you get a better grasp on the future of the business. Organize your raw data with one of the following tools. A SWOT Analysis stands for Strengths, Weaknesses, Opportunities, and Threats. This exercise offers a helpful way to think about and organize your internal and external data. What are your organization’s strong points? What are your organization’s weak points? Where are your biggest opportunities in the future? What are the largest threats to your business? Sometimes it is helpful to use the SWOT analysis framework to organize your interview questions for your qualitative data gathering. Porter’s Five Forces is another tool used to find these inputs. It’s a time-honored strategy execution framework built around the competition in your industry. Who are your rivals? What are they doing? You then need to look at the threat of substitutes. Could you change an energy input from coal to natural gas, for example? Nine out of 10 organizations fail to execute strategy. Avoid failure with this toolkit. You may have researched risk assessments, core competencies, scenario planning, or industry scans as part of your strategic planning. If you’re wondering where these tools fit, they’re all relevant to this first stage of strategic planning. They help you prepare to create the strategic plan. If you have worked through one of these tools before, the results can act as inputs to help you in the next stage. You have a team of people who can help you with the strategic planning process. 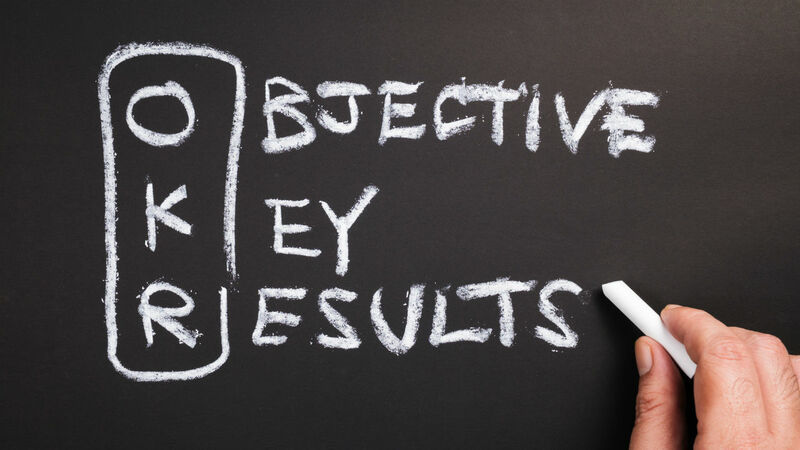 You have the raw material for strategy evaluation, including internal and external data. You can organize your raw data into a SWOT analysis, Porter’s Five Forces, or another strategy planning framework as you begin to create your strategic plan. You now have all the background information necessary to create your strategic plan! But this plan doesn’t live in a vacuum—so we’ll start by revisiting your mission and vision statements and then get into the nuts and bolts of the planning process. Step 1: Confirm your mission and vision statements. If you haven’t created formal mission and vision statements, this is the time to do so. Your mission statement describes what your company does and how it is different from other organizations in your competitive space. Your vision statement describes a future state of what your organization wants to achieve over time. Where the mission is timeless, your vision is time-bound and more tangible. OAS statement—OAS stands for Objective, Advantage, Scope. Talking through these concepts as they apply to your organization will help formulate a vision that is tangible and interactive. Note that while this exercise may be helpful to you, it is optional. You can read more about creating your OAS statement here. Strategic shifts—A second tool some people find helpful is called Strategic Shifts. These are exercises for the leadership team to help them define today’s strategic priorities vs. tomorrow’s. 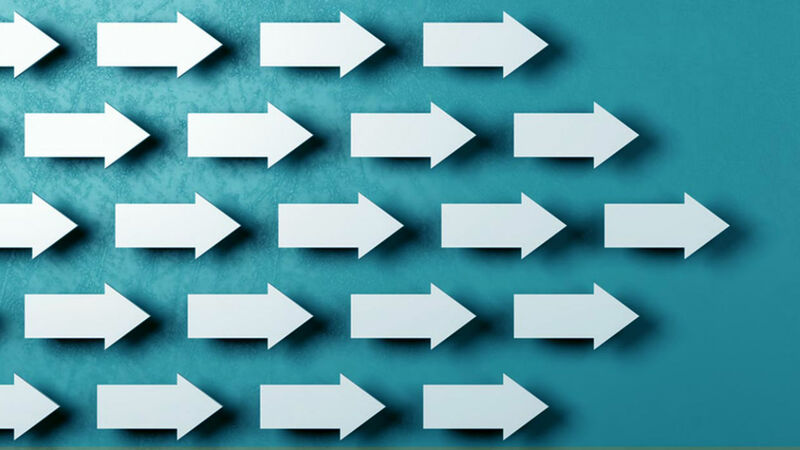 For example, your leadership team may say, “We want to shift from central control to autonomy when it comes to our decision-making capability.” If the whole team can get on the same page with these shifts, it can help tremendously once you define your objectives, measures, and projects. During your search for strategic planning tools, you’ve almost certainly come across a Strategy Pyramid (shown below). This pyramid can be visualized in countless different ways, the order of the pyramid isn’t what’s important. The importance lies in ensuring you’ve chosen the elements in the pyramid that work best for your organization, and making sure those components are going to help you achieve strategic success. 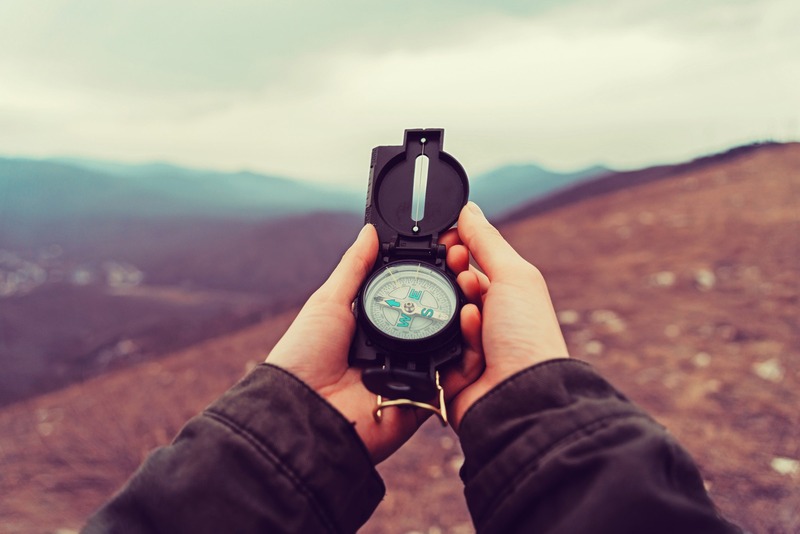 If you’ve already created mission and vision statements, confirm that both are aligned with your current strategy before proceeding to the next step. Step 2: Build out your five-year plan. Develop the framework that will hold your high-level priorities. You can use your OAS or Strategic Shift exercises to help you define your priorities and objectives—but more importantly, you need a way to manage these elements. The way to do that is by selecting and developing a strategy management framework that will bring all your priorities together in one cohesive format. Using a framework such as Balanced Scorecard (BSC), Theory of Change (TOC), or Objectives and Key Results (OKR) is critical to your strategic success. Many management teams fail at this point simply because of their disorganization! Note: Choose only one of these three frameworks, as they have numerous similarities! The Balanced Scorecard, developed by Robert S. Kaplan and David P. Norton, has been one of the world’s top strategy management frameworks since its introduction in the early 1990s. Those who use the BSC do so to bring their strategy to life, communicate it across their organization, and track their strategy progress and performance. For an in-depth look at how your organization could use the BSC, check out this Full & Exhaustive Balanced Scorecard Example. The Theory of Change is a logic model that describes a step-by-step approach to achieving your vision. The TOC is focused on how to achieve the change you’re looking for, and is popular amongst mission-driven organizations who are describing a change they’re making in the world instead of putting change in their pockets. The idea behind TOC is that if you have the right people doing the right activities, they’ll affect change on your customers, which will impact your financials, and bring you closer to your vision. A great example of a this theory of change is the nonprofit RARE. Conduct “backwards mapping” to identify the preconditions necessary to achieve that goal. Identify the interventions that your initiative will perform to create these preconditions. Develop indicators for each precondition that will be used to assess the performance of the interventions. Write a narrative that can be used to summarize the various moving parts in your theory. OKR was originally created by Intel and is used today in primarily two ways: At the enterprise/department level and at the personal performance level. Key results are quantitative measures that define whether goals have been reached. The idea is that your defined objectives and measurements help employees, managers, and executives link to and align with overall strategic priorities. Not only does OKR strive to measure whether objectives are successful, but also how successful they are. Note: This Medium article offers a number of real-world examples of OKR. Define your objectives, measures, and projects. The strategic planning frameworks above are all meant, in different ways, to help you organize your objectives, measures, and projects. So it’s critical that these elements are well thought-out and defined. Create your strategy map or graphic strategic model. Whether or not you’re using a Balanced Scorecard as your strategy framework, you’ll benefit from using a graphic model to represent your strategic plan. While many people use a strategy map (shown in the example below), you could also use icons or a color-coding system to visually understand how the elements of your strategy work together. If you’re just becoming familiar with how strategy mapping works, this article will teach you exactly how to read one—and what you need to do to create one. You have a fully-defined mission and vision to use as you move forward with your strategy implementation process. You have chosen a strategic framework that will hold your five-year strategic plan. You have defined objectives, measures, and projects, and you know how they work together. You have a graphic representation of your strategic model. Feeling the strategic fatigue? It’s okay! This is a tiring process—so be careful to tailor everything in this section to what those in your organization will tolerate. 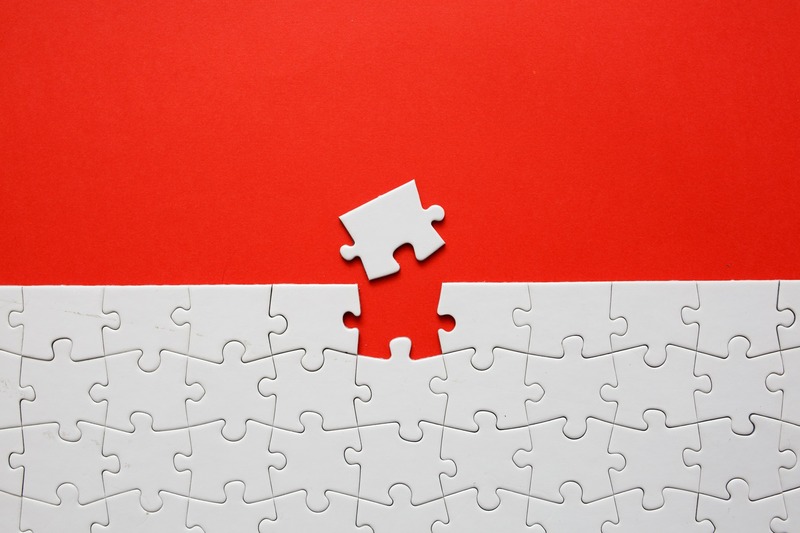 Putting your strategic plan into practice (our final step) is the key to making it all work during the strategy implementation plan, and getting these details 80% right in a timely fashion is much more important than getting them 100% right in a year. You’ve made it this far—now you have to be sure you launch correctly! To do so, you need someone from the Office of Strategy Management to push that process, ensure resources are aligned to your strategy, put a solid strategy communication program in place, and get technology to keep you organized. Step 1: Launch your strategy. Ensure the Office of Strategy Management (OSM) is pushing things forward. The Office of Strategy Management is comprised of a group of people responsible for coordinating strategy implementation. This team isn’t responsible for doing everything in your strategy, but it should oversee strategy execution across the organization. Typically, the OSM lives in the finance department—or it could be its own separate division that reports directly to the CEO. Create your internal and external strategy communication plan. Internal—Be sure all elements of your strategy—like strategy maps or logic models—are contained within a larger strategic plan document. (If you use strategy software, the strategic plan document will likely be contained there.) A great way to be sure your leadership team has a firm grasp on your strategy is to ensure they each have a copy of this document, and they can describe the strategy easily to someone who wasn’t involved in the creation process. This free Balanced Scorecard template will help you become the strategy superhero your company needs. More broadly, the strategy must be communicated throughout your organization. You should be shouting it from the rooftops to keep it top-of-mind across your organization. People won’t give it a passing thought unless you engage them—so every department head should be charged with explaining how their team fits into the strategy and why it matters. For actionable tips, check out this article that highlights how you can effectively communicate your strategic plan across your organization. External—You also need to be sure you have a plan for communicating your strategy outside the organization—with board members, partners, or customers (particularly if your organization is municipal or nonprofit). Think through how it will be shared, and which parts of it are relevant to outside parties. Align your resources to your strategy. In the short term—which would be your next budgeting cycle or something similar—work to structure the budget around the key components of your strategy. You don’t need to completely rewire your budget, but you do need to create direct linkages between how your resources are allocated and how those efforts support your strategy. Over time, the areas that contribute less directly to strategic goals will become clear, and you can work on gradually aligning everything you fund. But even if your budget only extends through the fiscal year, consider how you’ll align your strategy to projects in the future. For future resource allocation, link your operations (what some refer to as the “work planning process”) to your strategy. Your expectation should be that the process of aligning your resources to your strategy can happen within year two of your strategic planning execution. Step 2: Evaluate your strategy. At this point, your strategy has been launched: Now you need to know whether or not you’re making progress! Here’s how to do that. Create reports to highlight your results. Ten years ago, you may have evaluated your strategy annually. But in today’s business environment, that’s not a feasible option. At a minimum, you should be reporting on your entire strategy on a quarterly basis, or breaking down your strategy into pieces and reporting on one of those pieces each month. The report you use should highlight progress on your measures and projects, and how those link to your objectives. The point is to show how all these elements fit together and relate to the strategic plan as a whole. The best way to report on strategy progress is to hold a quarterly or monthly review meeting with the leadership team. (Other key individuals might be in on this meeting depending on the agenda and the content.) It’s important to note that throwing together an impromptu meeting to go over results isn’t going to get you anywhere. Instead, your strategy review meetings should be meticulously organized. To make the most of your meetings, it’s critical to have an agenda for before, during, and after the meeting—you can read about running efficient meetings in this article. For your leadership team to be receptive to the idea, be sure you’re not adding yet another meeting onto their plate. Instead, look at current meetings and replace or refactor so there’s time to for strategy discussion. Deploy strategy reporting software (if you haven’t already). To make strategy execution work, reporting is unavoidable. While you might be able to track your first strategy meeting in Excel or give your first presentation via PowerPoint, you’ll quickly realize you need some kind of software to track the continuous gathering of data, update your projects, and keep your leadership team on the same page. If you want to learn more about the major areas of responsibility you should be covering in your strategy management process—and how strategy software can help with that—take a look at our ClearPoint tour. A checklist of 20 things to ask a potential strategy software vendor. Guidelines on how to build a municipal RFP. Plan refers to creating your strategic plan. Do refers to making progress on or executing on the plan. Check refers to the reporting and monitoring process. Act refers to taking action through projects, work plans, or the budgeting process to continue to manage and execute on the strategy. You’ve made it through these steps…. ...but be sure to place a great deal of emphasis on rightsizing this process for your own organization. Did you recently do a SWOT analysis and create new vision and mission statements? Don’t do it again. Do you already manage with a robust set of KPIs? Use them. Do you currently create reports for your board and management team? Modify them or use a strategy evaluation framework to make sure they’re focused and move on. Rather than doing everything, it’s more important to realize there is overlap between these steps. Understand how they all fit into your own process, and then move forward with the sections you’re missing. And if you have any questions along the way, get in touch with us. We live and breathe strategic planning and are here to help! For a process that takes you through these steps start to finish, try out our Strategy Execution Toolkit. You’ll get a purpose statement, change agenda, and strategy map template with measures and initiatives. Download it below!